Called by some historians the decisive battle of the early Pacific war, it certainly opened the floodgates for the Japanese conquest of the Dutch East Indies and sealed the fate of Java. The Imperial Japanese Forces had neutralized the American Naval forces, both in Hawaii and the Philippines, and destroyed the only heavy British units in the area (the ’Repulse’ and ‘Prince of Wales’). They had rolled up land-resistance in Malaya and taken Singapore. And, most important, they had taken the oil-fields at Tarakan and Palembang, the real objective of the assault. By the end of February the Imperial Japanese Navy (IJN) came out in force with the objective to clear the sea-lanes and invade the last major target: Java. The IJN had assigned other tasks to its battleships, carriers and heavy cruisers so the Java invasion fleets were covered by a relatively light screen of two heavy cruisers, two light cruisers and fourteen destroyers. Theoretically these forces were a match for each other. However, the Japanese forces were fresh while the Allied crews were exhausted by continuous operations and air attacks. 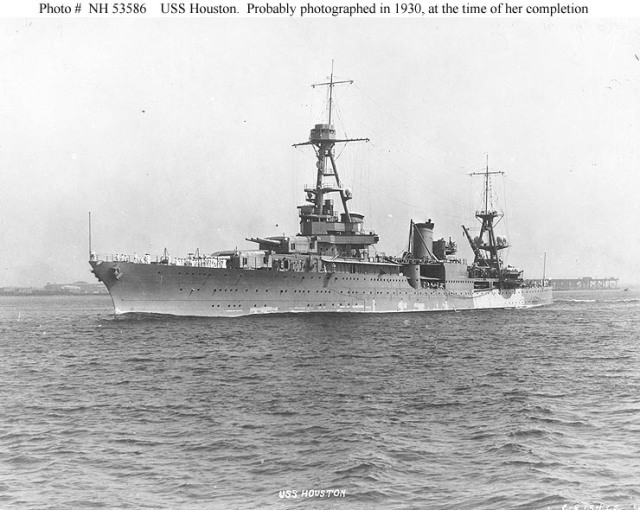 Some of the Allied ships also had suffered battle damage, notably the USS Houston with her nr 3 main-turret out of action (due to a bomb hit that killed 50 crew members). It has been said that the chaotic ABDA command was the greatest advantage the Japanese forces could have. This American-British-Dutch-Australian command had been set up in a hurry, with no real strategic concept or plan and without prepared command & control procedures. As a result, communications were haphazard and usually reached their destinations (far too) late. At 1.57 pm on February 27, 1942, with his ships actually preparing to enter Surabaya harbour, the commanding officer of the ‘Combined Striking Force’, Rear Admiral Karel Doorman, belatedly received a sighting report of a Japanese fleet approaching Java. The Japanese fleet was only 50 miles from the Java coast and battle was joined around 4 pm. 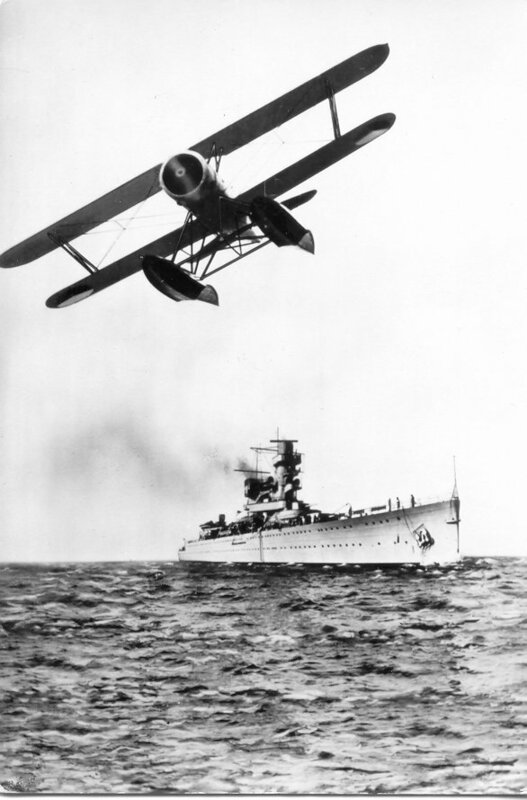 The Allied ships had an initial advantage of long-range gunnery but no decisive hits were scored. Then, at 5 pm, a Japanese shell detonated in HMS Exeter’s boiler room and put the cruiser out of the fight. The hit also threw the Allied force into confusion and precious time was lost in straightening out the situation. By the time Doorman thought he had everything under control the first salvo of Japanese type 93 ‘Long Lance’ torpedoes arrived. The Allies knew absolutely nothing about this weapon, a very fast torpedo with a range of 44.000 yards (almost triple the US torpedo range) and a whopping 1100 lbs warhead The first victim was the Dutch destroyer Kortenaer. The ship blew up in a monstrous explosion and sank within two minutes. The surviving ships maneuvered wildly to avoid the deadly Japanese ‘fish’ and again valuable time was lost. Doorman sent the crippled HMS Exeter back to base and approached the Japanese ships again, losing the destroyer HMS Electra in the ensuing gunnery duel. The fight dragged on and on and Doorman had to send the four US destroyers back to base because they were out of torpedoes and low on fuel. The situation worsened when another British destroyer (HMS Jupiter) struck a Dutch mine around 10 pm. Later that night Doorman made a final, desperate effort to reach the Japanese transports. By that time the Allied crews were completely exhausted and the Japanese superiority, both in numbers but also in night-fighting experience and long range torpedoes, sealed his fate. Doorman’s four remaining cruisers raced unescorted towards the Japanese fleet. They were spotted at 11.02 pm and the Japanese cruisers Nachi and Haguro fired spreads of type 93 torpedoes. At 11:32 PM a torpedo from Haguro fatally struck ‘De Ruyter’ ; one of its magazines blew up and the ship was engulfed in flames. Java was hit by one of Nachi‘s torpedoes two minutes later. 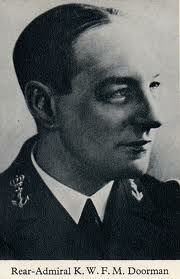 Both cruisers slipped beneath the waves soon afterwards and Rear Admiral Doorman went down with his ship. The survivors, USS Houston and HMAS Perth escaped destruction. Their fate was to come two nights later. The Battle of the Java Sea was a resounding victory for the Japanese and effectively ended meaningful naval resistance by ABDA forces. In the fighting, Doorman lost two light cruisers and three destroyers, as well as one heavy cruiser badly damaged and around 2,300 killed. Japanese losses numbered one destroyer badly damaged and another with moderate damage.